Technology has changed a lot over the years. Do you remember a time when it was popular to walk around carrying a boombox, perhaps carrying a CD player, and then again to MP3 players? Well the time for change is once again upon us with portable Bluetooth speakers! 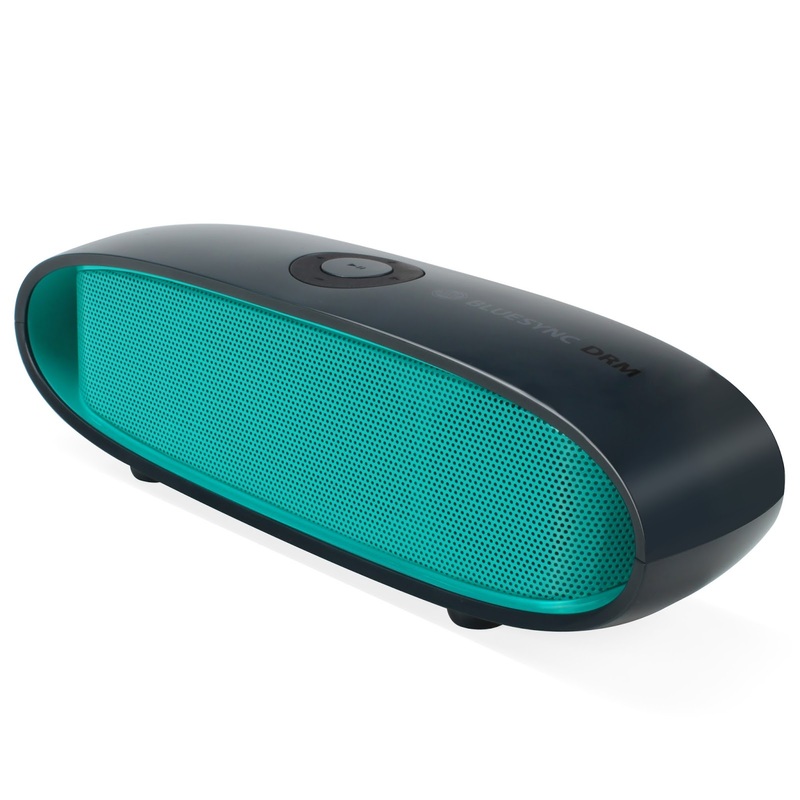 This is the GOgroove BlueSYNC DRM, our latest and greatest Bluetooth capable portable speaker! 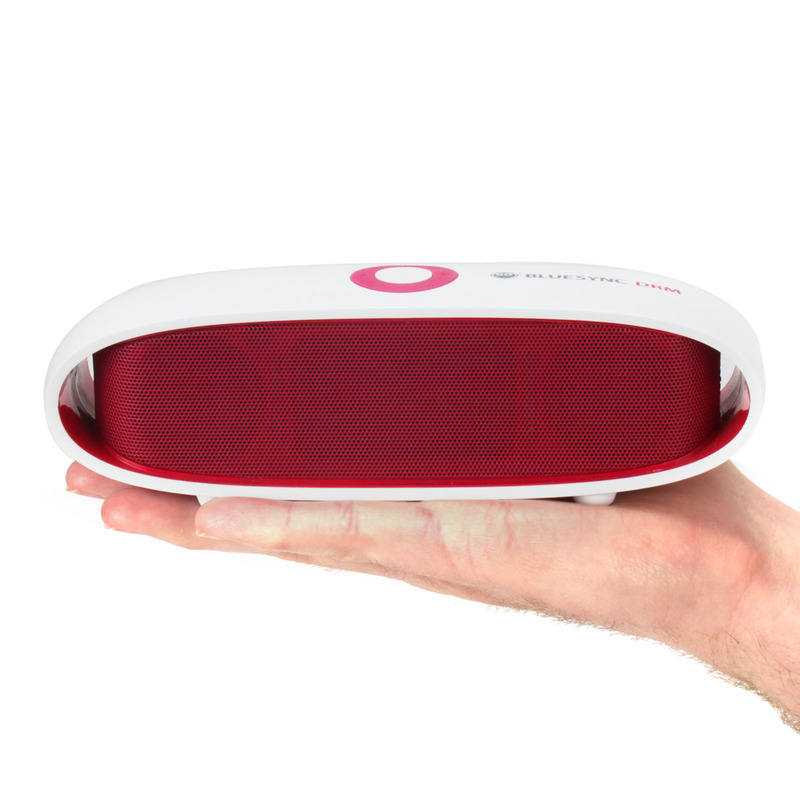 Due to its lightweight design and compact size, BlueSYNC DRM can be taken anywhere. 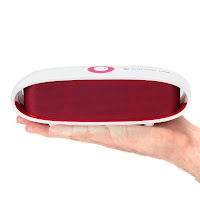 It can provide crystal-clear, room-filling sound for an epic party or elegant soft music for a romantic night below the stars without the hassle of bulk and wires. The curved elegant form was designed to standout from the typical box shape and the muted exterior colors mixed with the vibrant interior present a visual pop that is sure to get people’s attention.The BlueSYNC DRM comes in both Red and Teal! This speaker doesn't get by on style points alone. It’s been developed with the latest in Bluetooth technology with v4.0 CSR chipset with aptX audio codec support for wireless CD-quality sound and hands-free calls. Signal strength and battery efficiency are best in class, boasting a 10 hour life span per charge! If using an iOS devices (iPhone, iPad, iPod) you will also see the battery level of the BlueSYNC DRM displayed at the top of your screen. The GOgroove BlueSYNC DRM is compatible with all Bluetooth audio devices, smartphones, tablets, MP3 players, laptops and more! The GOgroove BlueSYNC DRM is on sale now for just $39.99 with the newsletter code.